Maria Montessori lived during the time when two disastrous world wars took place and she couldn’t agree with the catastrophic consequences that followed. People devised the means to destroy life on the planet within minutes. During her work with the children she observed that if the natural course of development takes its place such calamitous qualities like aggression and alike were not manifested. Instead she observed that children are naturally peaceful and have inner love to the world, to the environment, they lived in. 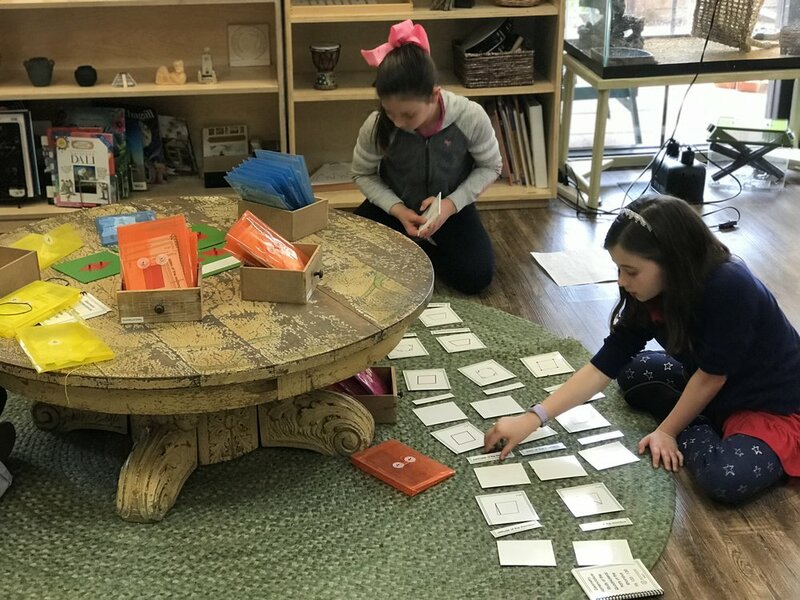 Thus, she found that children when developed naturally, and humanity gets a chance to achieve peace in the world by these children, what was the broader vision of Montessori. We can call the peace education an invisible curriculum of the Montessori education. The focuses and approaches of this education shift within each of the planes of development. In the first plane, in the Children’s House, children are taught to have internal peace. In the second place, in Elementary, children learn, through budding sense of justice, how to find peace with another person or a group of people. In the third plane, in Adolescence, children learn to communicate peacefully within the community. And the forth plane, in Adulthood, and forth the focus shifts to how to make peace in the society and the whole world, which is one of the main goals of Montessori Method. In her approach she focused not on the problem but on the things that lead up to the problem. She led us to the children, to the beginning, where we can teach how to collaborate and accept each other. Through the lessons of Grace and Courtesy and Cosmic Education children find that human beings have the same needs and fundamentally the same. Human beings have three things that unite them: first, our hands that work and make things with; second, is the way that we love and sympathize the people around us and people that we have never met before; third, is the mind with which we imagine and can travel through space and time to see a better or worse future. These three things, when used to do the work of peace, bring us, the humanity, to salvation. 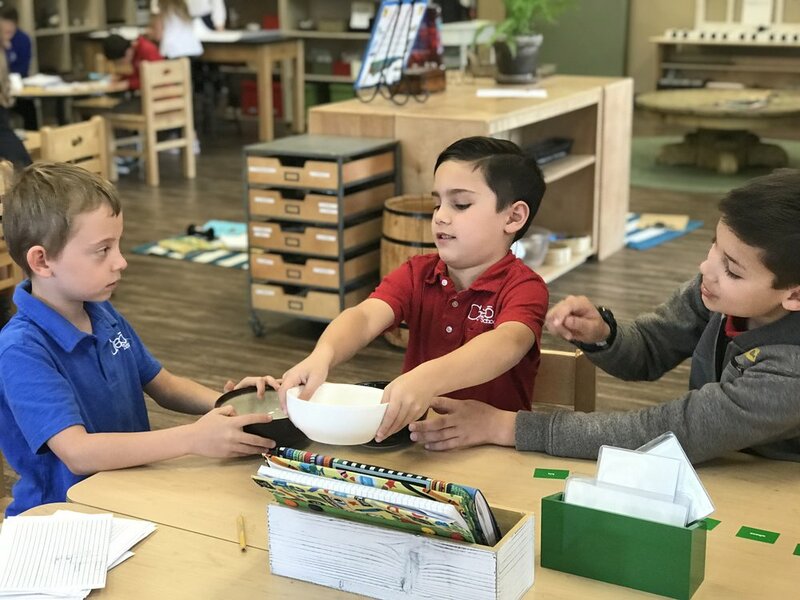 In Montessori peace education we know that conflicts are inevitable, and we see them as learning opportunities for students. We teach that reactions to conflict are choices and they can be right or wrong. Wrong choices lead to destruction and calamities, and right choices lead to harmony, happiness, and peace. As Montessorians, we strive to help children to get the how’s and why’s of peace and give children healthy approaches and tools to resolve conflicts. Through continuous practice children experience how to choose to be a productive participant of the society and peace maker. As it was stated above, learning of peaceful relationships is a step-by-step process through the planes of development. In the Children’s House, when the sensitive period for language development takes place, one basic piece of peace education is teaching children how to articulate their emotions properly. Another piece is the teaching manners with Grace and Courtesy lessons to respect of self, others, and the environment. In Elementary, at play is an emerging sense of justice, of what’s right and wrong. Within reason, we let children the skills they have learned in the first plane to resolve conflict and develop them further, looking at nuances, when a problem is experienced. When children of the second plane are taught how to settle differences, handle strong emotions, and let to resolve problems they face them peacefully, they feel empowered. Our Black Bear Classroom never ceases to bustle with activity . New lessons, research projects and baking continue to be enjoyed by the children. Our overnight experience was a success! Children truly rose up to the occasion preparing and serving food, organizing the sleeping areas, cleaning up and enjoying the Herpatoligical Society presentation. As we continue our preparedness for the Field Trip to Payson, we have been taking short walks around campus to practice following directions, walking in an orderly fashion and walking as a group. Next week we will begin our nature walks outside of school. We are looking forward to enjoying some time outside and building resilience and endurance! We had a wonderful Month here in our Coyote classroom. Our Children had a wonderful experience during our School Sleep-over. 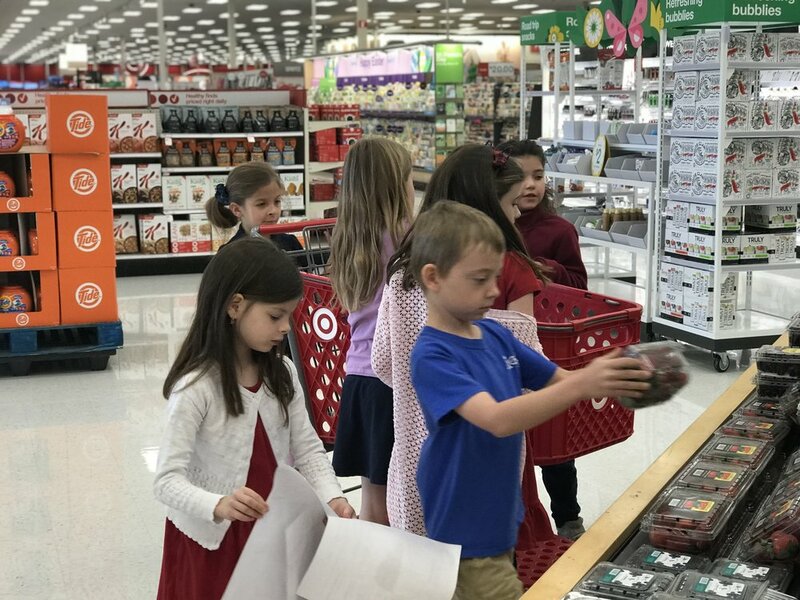 Children enjoyed working in small groups where they got to go shopping to cook diner and breakfast, organize, set up tables and, clean after meals while another group was setting up sleeping arrangements. Our children got to experience what is to be a community and how effective they can be by working together. 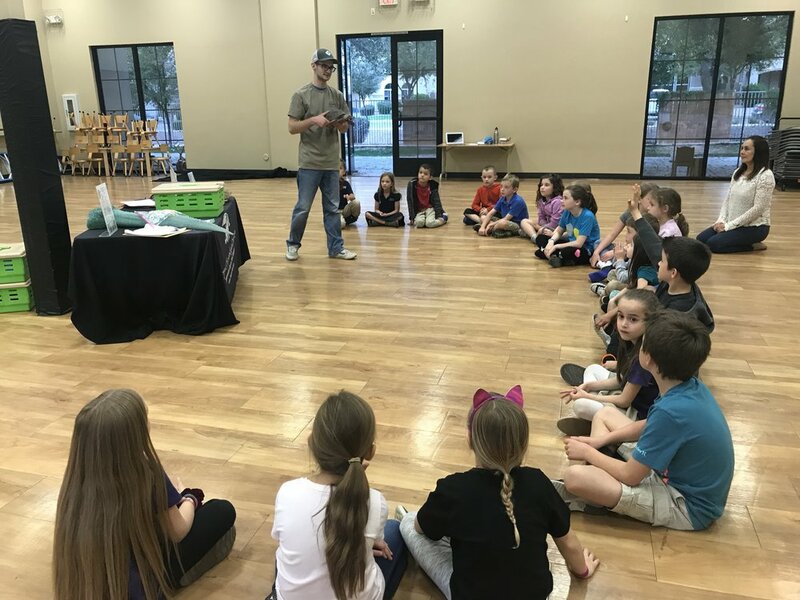 During the Sleep-Over our children go to enjoy a visit from the Phoenix Herpetological Society. They had unique reptiles from around the world. Our children learned cool facts about each animal while getting to pet them. 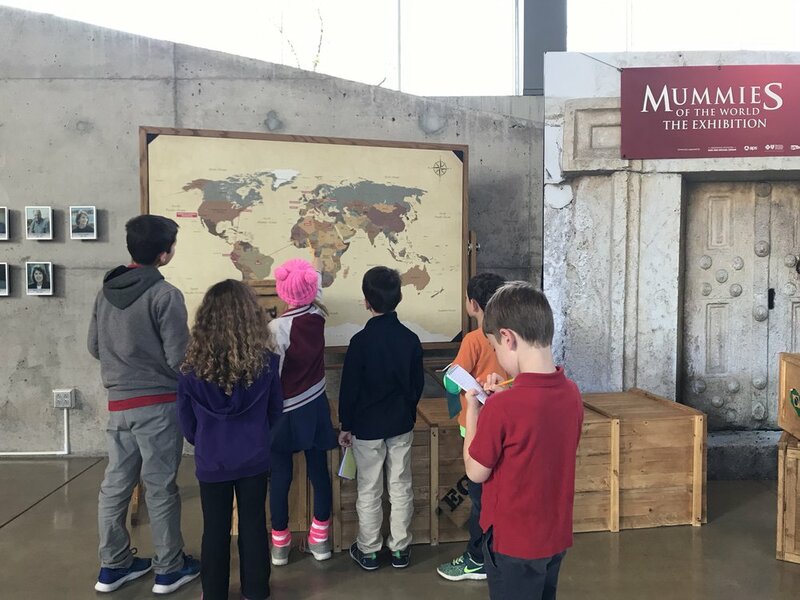 The small group of children that was working on the Egypt Research got an opportunity to pay a visit to the Arizona Science Museum. They got to see the Mummies from around the world exhibition. Everything they read on books came to life for them that day. This month most of our children are focusing on American History. Each child is paying attention to Native Americans, Exploration, Colonial Times, Independence & Expansion, Reform & Reconstruction and, New Nation. Thank you for your support during our process towards the auction night. Your time and energy made our project a success! Our children truly enjoyed creating a beautiful quilt that represented a part of the world they are fascinated about. This opportunity provided the children to realize that this world is a magical place and we must take care of it. Children investigating the perimeter of the rectangle they created. Using a software to sharpen her typing skills. Arizona Science Center to see the Mummies Exhibition. Presentation on Dr. Martin Luther King Jr.
Children created a song & a dance about the first moon landing. A small group shopping for groceries for the Sleep over. Seeking help from the store manager. Using command card to develop a deeper knowledge of Parts of Speech. Studying the nomenclature of shapes, sides and angles. Phoenix Herpetological Society : Going-In. Reptiles from around the Word. After the spring break, the students were excited to welcome a new Spanish speaking assistant in our community. Ms. Denise is from Colombia. It was a very fascinating fact for the children as we now have two adults in the environment with the names that are pronounced exactly the same. Another exciting piece of news is that we got a new pet, a representative of Mammals, a male gerbil that the students named Fluffy. Now we have representative of four vertebrate classes to take care of: fish, a bird, a reptile, and a mammal. Next year we are thinking about getting an amphibian and all the 5 classes of vertebrates are going to be represented in our classroom. This month the students were working on finishing the researches that were started before. Some informative presentations happened as a result. In the preparation for the field trip we have started a research on good character qualities like trustworthiness, reliability, honesty, respect, teamwork, etc. 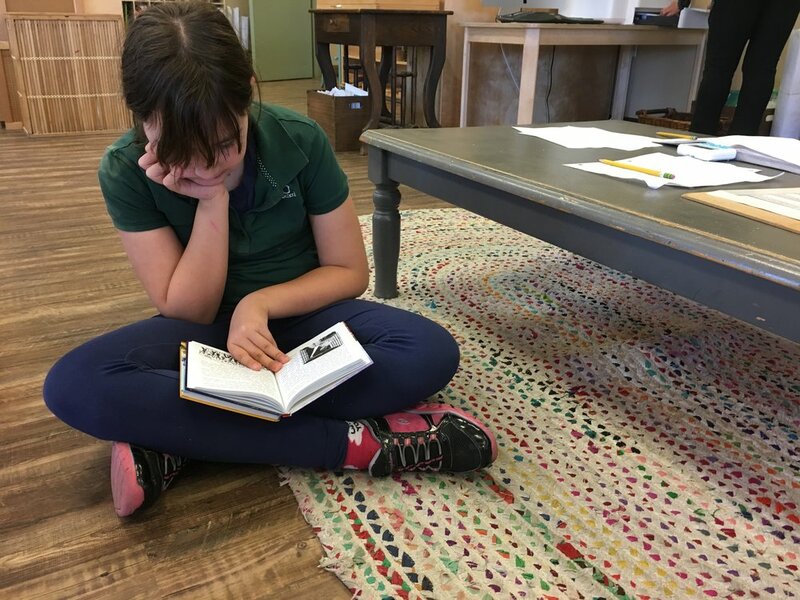 Every student got a quality to research, find the meaning and history of the word, examples in books, and a task of writing their own stories. When the research is done every student is going to share the results of their studies with the community. Some of them are even thinking of making skits on their qualities. So exciting! Another preparation for the field trip is the nature walks where we are practicing to follow the guidelines of the leaders, walk safely and peacefully at the pace of others, and mindfully interacting with the environment as well as developing stamina. Sometimes, when students write their own stories they want to implement some elements of elocution and make the story more interesting. For that they start to research how other authors do that in their stories. After the presentation on the Clock of Eras students may look into the evolution of life on our planet. To make their own comic books students research other authors in the same area to find some attractive ideas that they want to implement in their story plots. To find the logic in spelling students look for examples of the words that follow the pattern of the spelling rules they learn. The reptiles of the past that were gone inspire the students to study their diversity, sizes, areals of habitat, and all other fascinating facts about them. Students study the patterns of migration in the modern world by looking into what countries are recipients and what countries are donors of migrations. After the study is finished and the information is sorted, and all the drafts are impeccable students present their findings to the community with a great pleasure. Students learn the functions of each part of speech by analyzing every word in the stories of their favorite authors. Writing down examples of manifestation of a quality that were found in fiction stories or in life. Looking for the meanings of the words of good character qualities. Students practice to follow the guidelines of the leaders, walk safely and peacefully at the pace of others, and mindfully interacting with the environment as well as developing stamina.